From the authors of the bestselling Chi Running, a game-changing training guide for injury-free long distance running. In Chi Marathon, Danny Dreyer, creator of the revolutionary ChiRunning program, highly respected running coach, and accomplished distance runner, takes a whole-body approach to long-distance running—much like T’ai Chi—making ease and efficiency of movement the prime goal of one’s training. 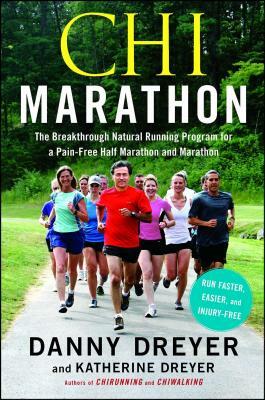 Chi Marathon is the first book to focus not on building stamina first (though that is covered here) but on how to run all those miles without harming your body. A staggering 80 to 90 percent of marathoners face injuries during their training. This book debunks the myth that marathoners need to push through and beyond pain, and presents a technique-based plan for pain- and injury-free, high-performance half and full marathons. Chi Marathon also shows how to improve your performance by developing your own race-specific training plan tailored to your event, and will help you cross the finish line feeling strong no matter your age, body type, or running ability.